Day 2 didn’t start off too well, we all overslept including Seronei, our driver. It was one of those mornings where I heard my alarm but I was so deeply asleep I thought the alarm was part of my dream. The drive from Kitale to West Pokot was exhausting to say the least. It was a 1.5 hour drive to Makutano to pick up our location scout, Simon (aka Pokot’s finest, I kid you not) after which we proceeded to Kacheliba. 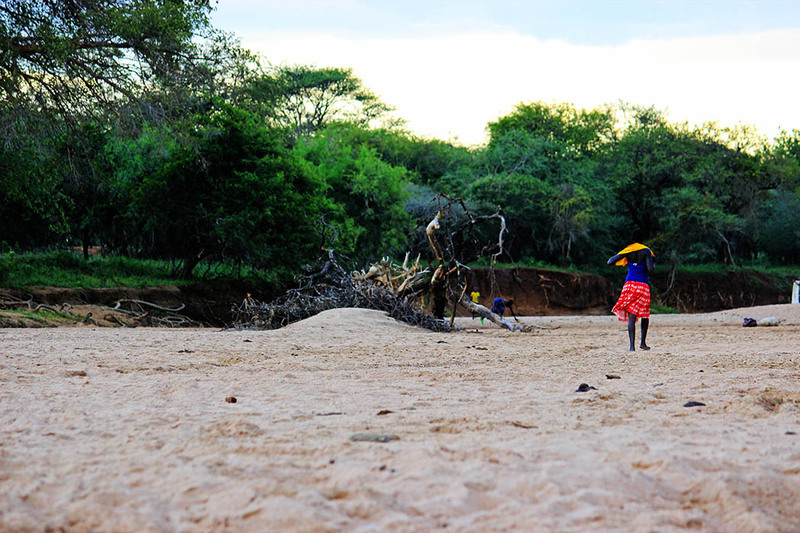 We then had to endure an even longer drive to Kacheliba on a dirt road that has a section called ‘Slow’. That alone should tell you how bad the road was. It is a dirt road frequently used by huge trucks ferrying sand and is best tackled in 4WD drive vehicle. 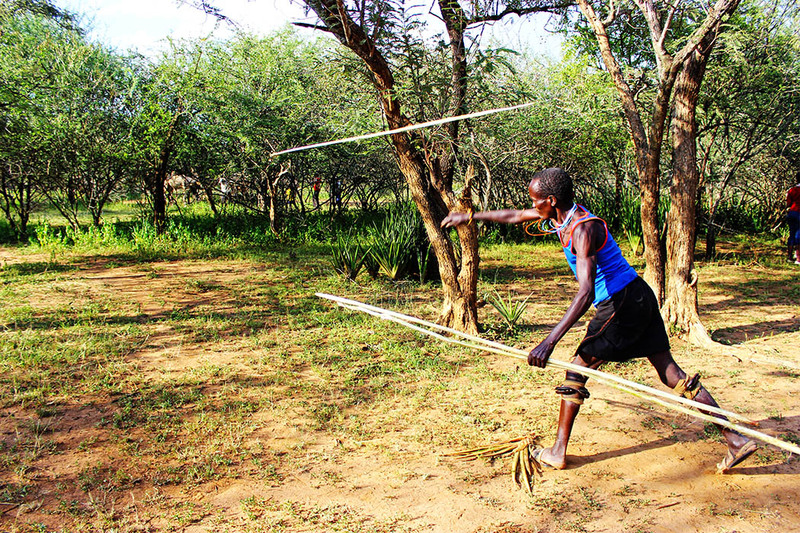 Kacheliba is home to the Pokot who were mostly friendly and quite helpful. The most interesting part of the day is when we had to go look for a village chief in order to convince 2 sisters to let us take their picture. In fact you could say it took the whole village to convince them. 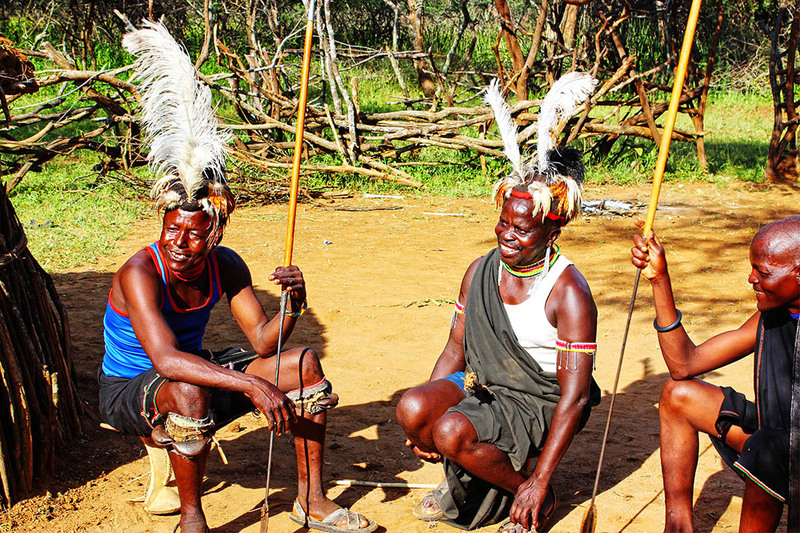 We were on our way to a cultural village when we saw them walking right in front of the vehicle. They looked stunning so naturally we stopped them and asked them if we could take their picture. They looked at us, refused and walked off. We send Simon (our location scout) to plead with them but they were still not willing. However they agreed to follow us on our way to the chief and after spending about thirty minutes trying to convince them, and the chief vouching for us, they finally agreed. 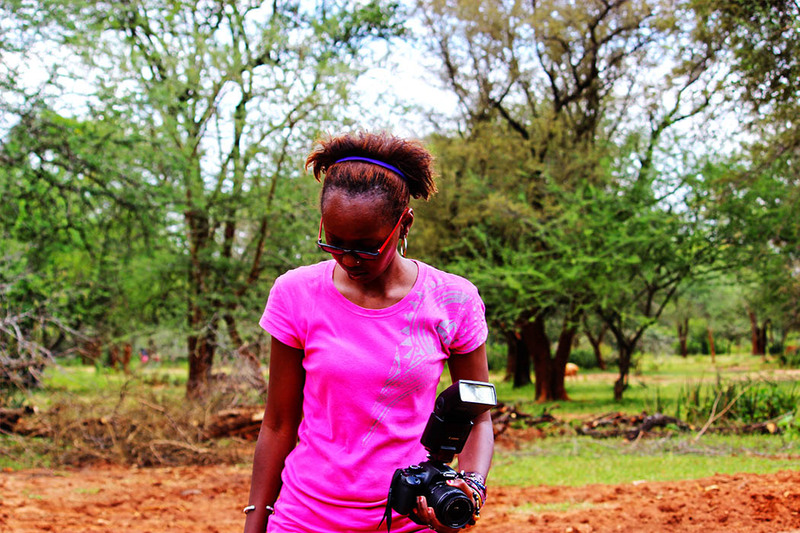 Unexpected Kenya continues, tomorrow we hope to capture the beauty of Nandi Hills. Stay tuned. Rachel, You have a gift! Every time I read your posts and see your colorful photos I’m itching to book a trip to Kenya. I’ve got to get serious with this! What would be the absolute best time of year to visit? Thanks again for linking up with Weekend Travel Inspiration! Those guys are really skilled. They were using fake spears (withoout the metail pointy tips) yet they still got them to stick on the trunks the trees. 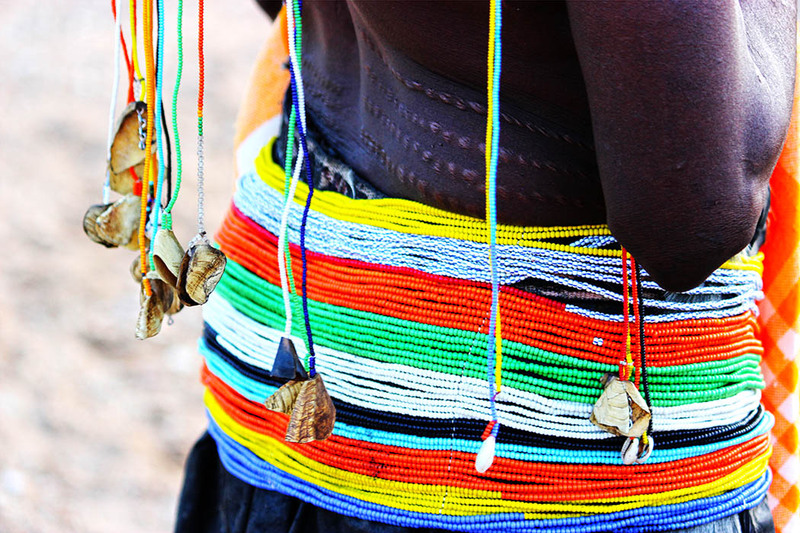 The Pokot are such a colorful people! The younger girls wear very colourful skirts and beads but older men and women tend to wear alot of black. So you will see colour, but not everyone wears it. What colorful clothes and beautiful beadwork. No wonder you wanted a picture. 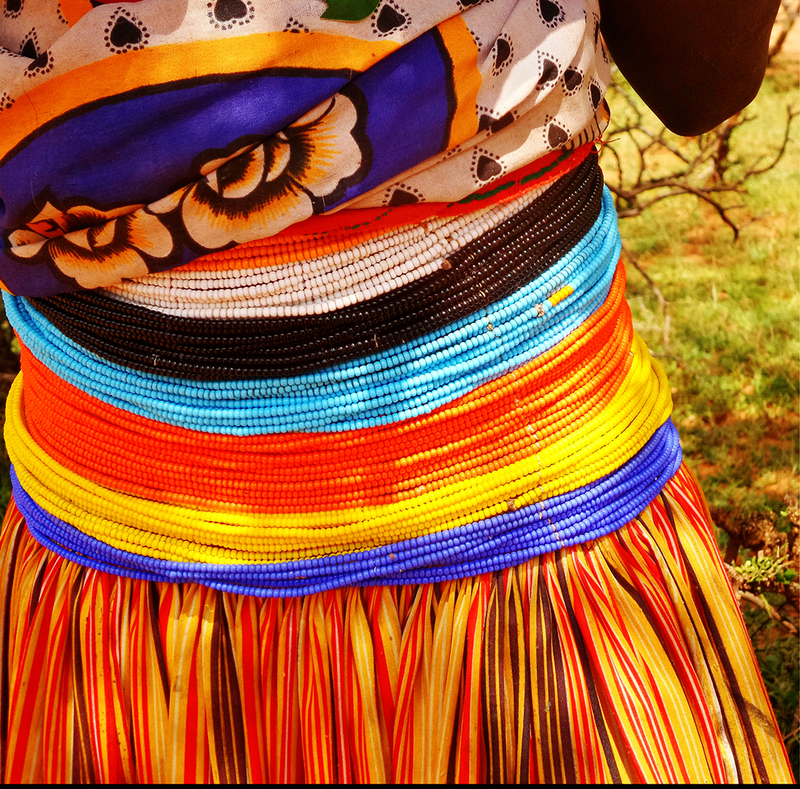 I’m awe of the colorful clothings and accessories of the Pokot girls. Are you going to show us more of them in the next post? 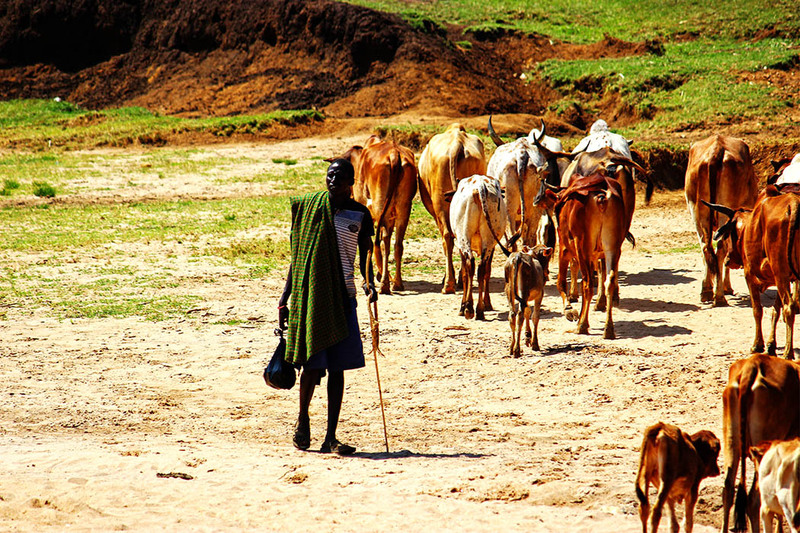 I enjoyed all the other scenes here, the cattle herds, the gatherinf of the local men, etc. I look forward to see and read about your Nandi Hills adventure. I love that first image! Such beautifully bright colours. It must have been hard convincing them to take the photos, but they turned out so beautiful. Yes it was. They were very suspicious and thought that we were going to take them with us. Absolutely gorgeous pictures – as always! This looks like such an amazing experience! Thanks for linking up to #SundayTraveler!